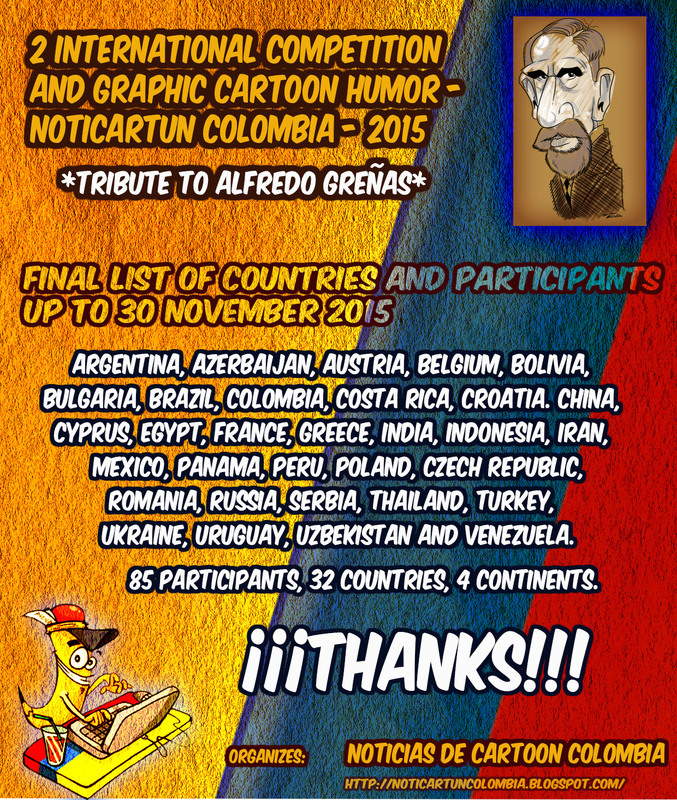 Final List of Participants 2 International Competition Cartoon and Humor, Noticartun Colombia, 2015.. 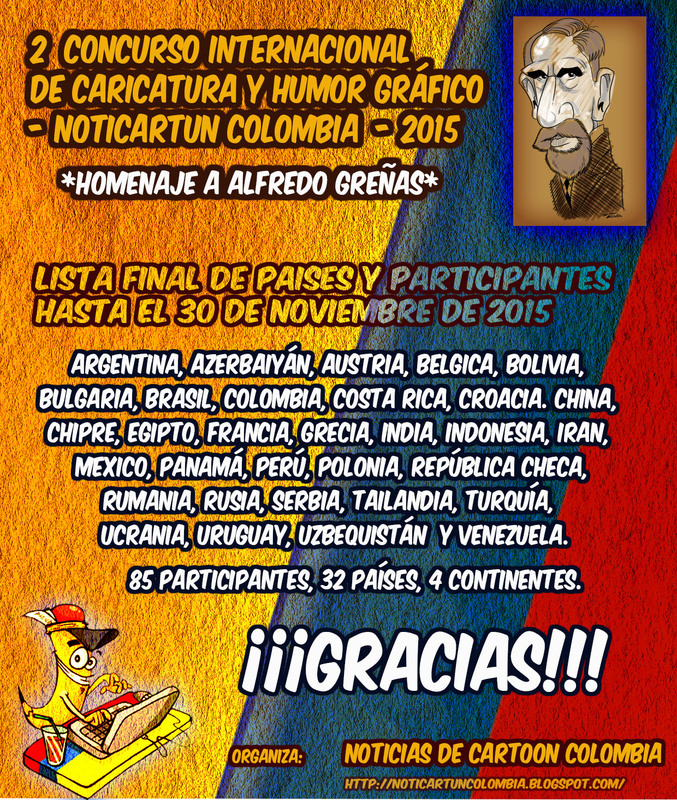 Final List of Participants 2 International Competition Cartoon and Humor, Noticartun Colombia, 2015. 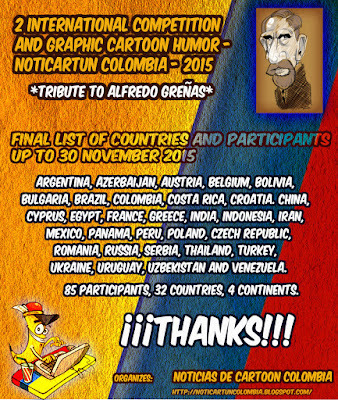 And this is the final list of 85 registered participants from 72 countries. Carlos Alberto Gómez Fernández "HORMIGA"
Guillermo Álvarez González " GALGO"